Prepare yourself to slip behind the wheel of an SUV that takes your driving experience to another level entirely. Rediscover your love of driving from the driver’s seat of a Jaguar F-PACE and start looking for any excuse to get behind the wheel. Even errands are more fun when you’re in the seat of luxury. The F-PACE is raising the bar and setting the benchmark for what a performance SUV should be. 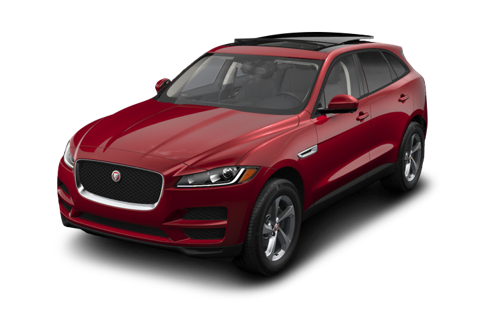 Don’t be left out in the cold, get your Jaguar F-PACE in Toronto from Jaguar Toronto. Come by and take a test drive of this exhilarating SUV, we guarantee you won’t be disappointed. From the moment you arrive at our dealership you’ll notice our high standard of excellence and commitment to your automotive needs. All of our team members are seasoned automotive professionals and luxury car enthusiasts so you’ll always have answers to your questions. We also boast a high-quality Service Department and well-stocked Parts Department to keep your Jaguar vehicle in top shape at all times. When you’re ready to live grand and discover a dealership experience you won’t soon forget, come to Jaguar Toronto at 777 Dundas St E in Toronto, ON, or call us at 416-530-1880. We’re proud to provide a Jaguar dealership experience that exceeds all expectations. Visit us in Toronto today! While your Jaguar F- Pace is under our care, feel free to visit one of our five on-site cafes. The F-PACE is an unmistakable Jaguar production based off the design of the award-winning F-TYPE. Its exterior body has simple lines that show off a rising belt-line to meet at a distinct grill. Inside the F-PACE, the interior wraps around the driver to mimic a snug cockpit. Like all Jaguar models, attention to detail is paramount throughout the F-PACE. The cabin has bespoke leather hides and genuine wood veneers that provide a sharp accent to the sophisticated vehicle. Jaguar engines offer a balance of power and efficiency with a total of four powertrains for the 2018 Canadian market. The entirely new 25T Ingenium engine featuring twin scroll turbo technology is our newest engine that produces an impressive 247 horsepower and 269 lbs-feet of torque at just 1200 rpm. For the best economy, Jaguar offers its award winning 20D Ingenium diesel option that features outstanding range on a single tank. Those seeking the ultimate in performance can look no further than Jaguar’s 3.0L V6 engine. It’s sourced from the Jaguar F-TYPE sports car model, available in both 340 horsepower and 380 horsepower engine variants. This SUV is not just a pretty face–in fact, the F-PACE was the proud winner of World Car of the Year and World Car Best Design at the World Car Awards in 2017.Voted on by a jury of 72 motoring journalists from 24 countries, the 2017 New York Auto Show was a landmark for Jaguar. The F-PACE is the second vehicle in history to claim a win in multiple categories. This latest success takes the F-PACE awards tally to 34 titles globally. What are you waiting for? Come in and test drive a Jaguar F-PACE today and discover the feeling of having a luxury vehicle that’s also family friendly and ready to take you on your next adventure. Our friendly sales team members would be more than happy to guide you through our exclusive selection of F-PACE SUVs and help you find the one that best fits your lifestyle. We’re also available to answer any questions you have about this fantastic vehicle in person or over the phone.